Sometimes fan art is great because it is a lot more detailed than a game itself, sometimes its great because it even adds more elements and emotions to game characters which have a deep character already. 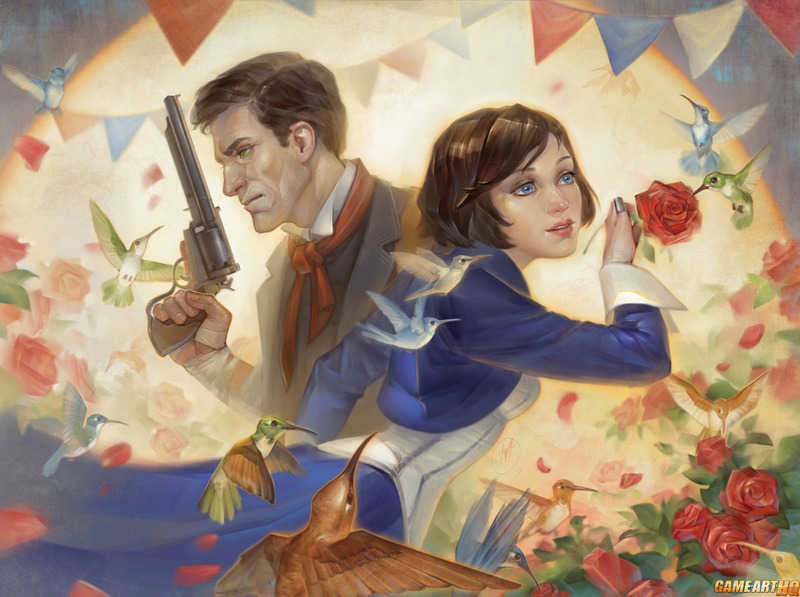 This Bioshock Infinite illustration of the main protagonists Elizabeth and BookerDeWit by the Ukrainian artist Alteya is one of those i believe..and beside adding the peaceful atmosphere with the roses and the hummingbirds, the whole composition here is simply beautiful. This fan art got the daily deviation honor there on deviantART which was well deserved. I strongly recommend you to visit the gallery of Alteya there. Her illustrations range from Dishonored to Dragon Age and many more other games!